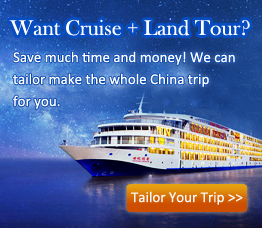 Your Yangtze River cruise vacation will always be kept wonderful and happy. During the hours unoccupied by the shore excursion visits, the cruise company arranges multiple activities, lectures, performances, captain’s parties, and other recreational items for every guest to spend enjoyable time on the ship from day to night. Activity arrangement onboard is varied by each Yangtze River cruise company, but still in great qualities. You will be entertained through your trip. Watch the Chinese painting and calligraphy demonstrations and learn how to draw the paintings and write Chinese characters under the guidance, which offers a nice opportunity to know how brilliant Chinese culture is. Joining in the Chinese medicine lecture, you would know more about the main acupoints on our body, some knowledge about acupuncture and moxibustion, and how to release the pain the uncomfortableness of some parts, like a headache. The extensive and profound culture and skills of Chinese medicine would make your leisure trip to China meaningful. Go up to the sun deck, stretch your arms, and fly a kite up to the sky, with the soft breeze at the Three Gorges. No matter you travel with your little kid or granny, you all would spend really relaxing and joyous moments together. Playing Mahjong is not only a recreational activity, but also a great way to exercise your brain. If you want to learn how to play this leisure game, the professional staff or cruise guide will help to teach you sincerely. This activity arranged by the cruise company is for free enjoyment. Outstanding carvings of vegetables would be showed by the master chef. What’s more, you could watch clearly how a normal carrot is transformed into other vivid shapes, such as a flying Chinese dragon chasing a pearl, a blooming flower, etc. For the leisure and enrichment of the cruise trip of you and your family and friends, Yangtze River cruises arrange interesting movies, with some presented with English subtitles and dubs, some with Chinese subtitles and English dubs, and some with English subtitles and Chinese dubs. The movies are changed according to different seasons, and there may be themes about the Three Gorges, the Three Gorges Dam project, etc. Watching movies is for free charge for most Yangtze River cruises, however, it needs extra payment for enjoying in the cruise cinema on ships of some companies, such as Century Cruises, President Cruises and Yangtze Gold Cruises. On the Captain’s Welcome Party, every staff and the cruise captain would extend their warmest welcome for your visit to the cruise. Since nice snacks, great champagne and other beverages are well served there, you could enjoy in the pleasure of food with your friends and family, receive the toast of the Captain and all staff, and have some pictures with the Captain. Besides, a good ball would be held there for both guests and staff to join in dancing together to the melodious music and immerse into such harmonious moments. And don’t miss the Captain’s Farewell Party. The cruise is waning to the close, and the Captain and all crews onboard would show their true appreciation and good-bye to all of you. Staff would sing and dance to treat you well, and you could join them to enjoy the last moments together to keep this nice and unforgettable memory in your life. During the night, sit on the comfortable chairs in the multi-functional lounge, the versatile crews would give nice performances for your great entertainment and enrich your experience onboard. They would dress up to give nice performances of folk dances of different Chinese ethnic groups and local minorities, and sing the beautiful songs and tunes for you to enjoy a night of celebration. The interesting and wonderful face changing show, fire spitting, joke telling, magic show, etc., all would be presented to improve your time at night into a highlight. The shows may not be very professional, but really interesting. Besides, the staff would invite guests to give performances, such as dancing, singing, etc. to join in the happy and awesome moments together. Every second onboard would be so worthy. During this costume show, the cruise staff will demonstrate the wonderful costumes, accessories of various colors and styles, of multiple dynasties in ancient China. Also, you could have a picture together with the staff wearing the costumes to record the special memory. Great time for pleasing your eyes and refreshing your brain. Every Yangtze River cruise ship has prepared a series of good items for your relaxation and body care. You can choose to enjoy the SPA, foot massage, Chinese massage of the whole body to feel so comfortable with the skillful techniques of the master and get real released with the soothing music. Besides, you can do a sauna together with your friends, family and the new people you know just on the ship to have a relaxing chat and to expel the toxin from your body during the sweat time. If you want to enjoy those activities to get relaxed, you can book it from the reception desk or directly from the staff at the service center and give the fees, and then they will arrange for you with high efficiency and quality. The Tai Chi master would do this classic Chinese physical exercise every early morning on the sun deck onboard the cruise ship. If you get up early, just go up there to learn how to play it together with other guests under the teaching of him or her. After a slight stretch of your body, you would feel always refreshed and energetic during that whole day. Also, inhaling the fresh air of the nature, feeling the soft wind on the river, admiring the charming sunrise in the sky, and enjoying the fantastic morning sightseeing of the Yangtze River, you could keep an especially good mood all day long. At the salon, staff would serve you enthusiastically to do hair washing, cutting, coloring, styling, facial, manicure, and so on. So you can book some services to spend some leisure time on the cruise, and also get well preparation for the formal dinner banquet and show up with the best appearance at night. Such services require extra payments, and you can know the detail prices after boarding the ship.